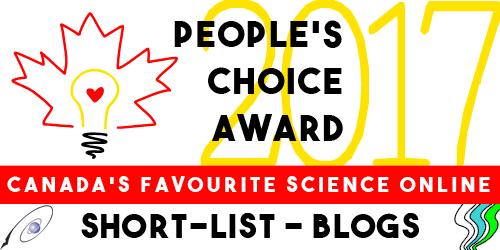 Looking for books that will inspire children to learn more about science? 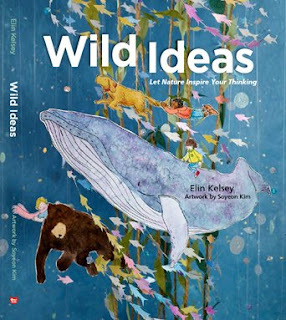 Here are some great titles that focus on the natural environment. 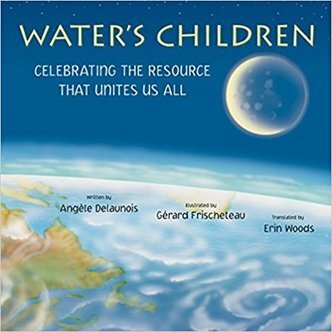 Water's Children has as subtitle ‘Celebrating the resource that unites us all’. The poetic text takes the reader from rainy cities to thirsty deserts, from mountain tops to the ocean shore, and from rice paddies to rain forests. All around the world, children share what water means to them. A lovely way to discuss countries, cultures, and the importance of water. Water's Children, by Angéle Delaunois, Pajama Press, ISBN 978-1-77278-015-4. Any school that wants to have a garden or nurture children to take an interest in nature should have these two nonfiction picture books. The first title focuses on growing food in the city. 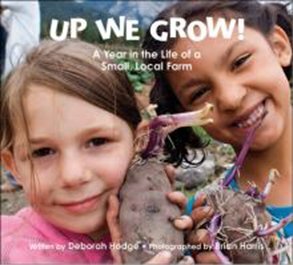 From beets and tomatoes in back yards to balconies, and from bees on rooftops to urban chickens, the book shares photos of kids growing things. The second title takes the reader along on a year on a small farm. 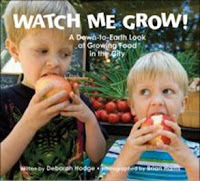 Both books offer ideas for growing your own food, including recipes. This gorgeous picture book shares the art of Robert Bateman with young readers. Each image is an impressive, realistic painting of an African animal. Part diary, part note book, the text and images take the reader along on a safari to meet such animals as lion, zebra, elephant, wildebeest, and more. It even includes rough drafts of the paintings so that this book will appeal to young artists as well as nature lovers. Text boxes give detailed information on each animal. 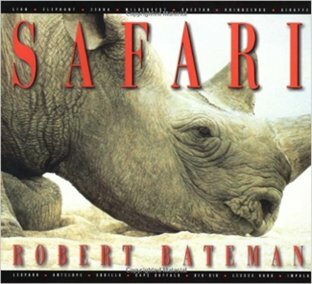 Safari, Robert Bateman, Little, Brown, ISBN 978-0670879700. Wild Ideas, Let Nature Inspire Your Thinking by Elin Kelsey, illustrated by Soyeon Kim. How far will an author go to get her facts straight? In my case, it was a nearly-4000-kilometre round trip from my home in Alberta to Laramie, Wyoming. The program, called Launch Pad Astronomy, is a week-long workshop designed specifically for science-writing authors. It was established to make sure writers present science accurately when creating stories or writing nonfiction. Whether you are reading a book or watching a movie, television show, or other media, it is not hard to get caught up in the story and assume it reflects genuine scientific principles. Launch Pad helps writers avoid presenting or creating misconceptions. Here are a few examples of how science can crop up in creative writing, followed by an explanation of why the scientific reference just won’t work. You will see how easy it is for even a well-intentioned writer to misstep. 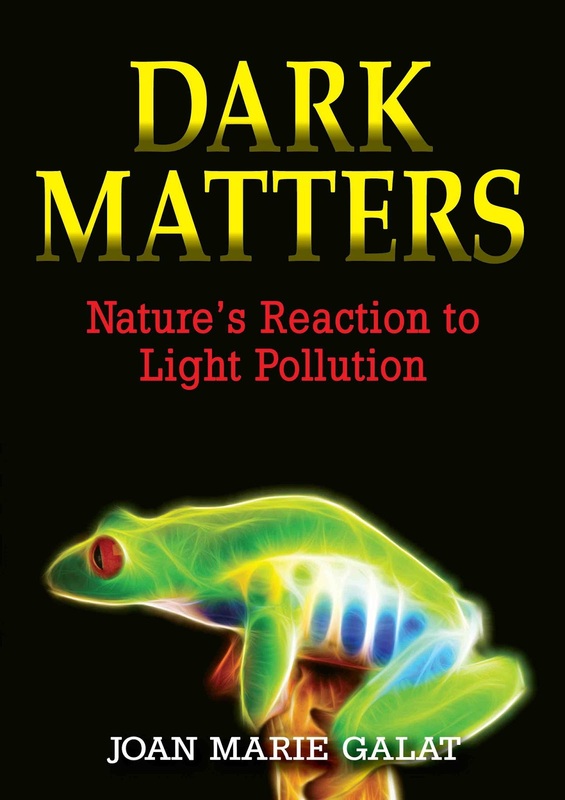 It was 6 am, too early for the courier to arrive with the first copies of Joan’s new middle-grade (and up) book: Dark Matters-Nature’s Reaction to Light Pollution. She took one last glance at the rising Full Moon and turned inside. SCIENCE FAIL: The Full Moon only rises at sunset. It had been dark for several hours. The courier was lost. His GPS battery was dead and his charger not working since it fell into a milkshake. Pulling over, he looked for the brightest star in the sky, certain the North Star would guide him home. SCIENCE FAIL: The North Star is not the brightest star in the sky. The courier remembered he needed to call his mother for her birthday. His cell phone was dead and the charger — well, you don’t want to know. Not wanting to admit his shortcomings, he decided upon an excuse. He would say he burned his hand when picking up a meteorite that had landed when he was searching for the North Star. 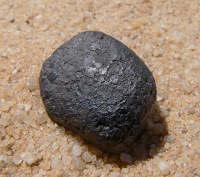 SCIENCE FAIL: It’s not common to find meteorites within seconds of them landing on the ground. Little is known about the immediate temperature of new meteorites, however scientists generally believe small rocks from space will be cool or only slightly warm upon striking the Earth. Other common misconceptions abound about why seasons occur, the strength of gravity on the Moon, the direction a comet's tail will face, and other topics. The Smithsonian’s “Science Done Wrong” offers additional compelling examples. Next time you read a book or watch a movie, consider whether the science is accurate and conduct a bit of research of your own to find out what is fact and what is fiction. If you’re a fellow author, consider applying to attend Launch Pad Astronomy. It is an experience you won’t want to miss. Joan Marie Galat is the author of more than a dozen books, including the Dot to Dot in the Sky astronomy and mythology series. Science talks have taken her from the Arctic Circle to South Korea. Check out her book trailers and speaker demo. When I want to relax this winter, I've been going to a science website called OneZoom. If you like biology, you might like it too! They've made an interactive image called the Open Tree of Life, that shows on your computer screen a family tree for all living things on Earth. You can zoom in to look at a branch of the family tree. The shape of the family tree is curved like a spiral, and the branches of the tree are curved too. As you zoom in, the shape of a branch is like a smaller version of the entire tree. This kind of design is called a fractal. I zoomed in today and a circle on the tree grew large enough for me to read: "650 million years ago, during the Cryogenian Period, lived the most recent common ancestor to today's Animals." OneZoom is a registered charity in the UK. They want to provide easy access to scientific knowledge about biodiversity and evolution. “This NSF-funded project will produce the first online, comprehensive first-draft tree of all named species, accessible to both scientists and the public,” reads their profile on Twitter for Open Tree of Life. 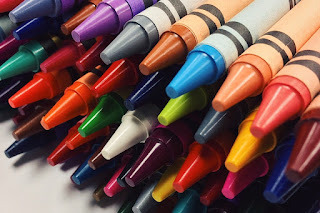 Months ago, Crayola, the crayon giant announced the removal of Dandelion from its palette of yellows and oranges. In March, the company issued a news release saying that Dandelion’s replacement would be in the blue family. Not long after, it added another tidbit of information. The replacement would be a newly invented, never seen before, hue of blue with a backstory as unique as its name, “YInMn Blue”. In 2009, Mas Subramanian, an Oregon State University (OSU) chemist, discovered the colour with his grad student, Andrew Smith. The two were heating batches of manganese to 1200 °C (~2000 °F), hoping to produce a high-efficiency electronic material. After one attempt, Smith pulled a striking, brilliant-blue compound out of the furnace. Subramanian knew right off it was a research breakthrough. Unwittingly, they had created a shade of blue unlike any other from a combination of yttrium, indium, manganese, and oxygen. Recognizing opportunity, Subramanian and his team shifted gears. They expanded their research. To date, they have created a range of new pigments, everything from bright oranges to vibrant hues of purple, turquoise, and green. Discoveries of this sort are not uncommon in science. X-rays, penicillin, and Kevlar are a few items that owe their existence to usual circumstances where scientists were looking for one thing and happily found something else. The nicotine patch is another. It took years to produce a workable nicotine patch, but the accident was the start of the process. Just as in Subramanian’s case, Etscorn saw something others might have missed. What does it take to recognize hidden opportunities when they arise? 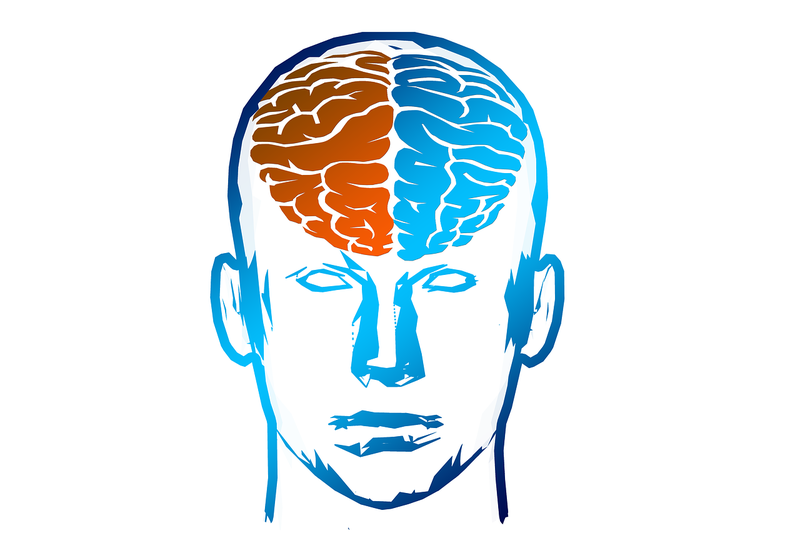 Brain research provides some clues. 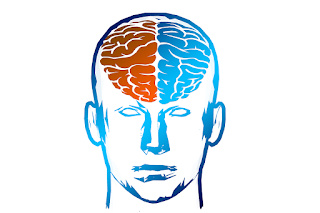 The corpus callosum, a thick band of more than 200 million nerve fibres, connects the left and right hemisphere. Think of it as a busy freeway where impulses fire back and forth, facilitating communication between the two sides of the brain. Not every brain hardwired with a thick callosum connects the dots and capitalizes on unexpected circumstances, however. And it doesn’t mean that a brain with a thin callosum cannot be a member of the discovery club either. There’s more at play in taking advantage of serendipitous events than simple brain mechanics. Over a century ago, Louis Pasteur made a major discovery after his lab assistants neglected a batch of petri dishes. Wondering how this would affect his results, Pasteur opted to carry on the experiment. His decision led to a breakthrough in the development of vaccines. Luck played a role in the discovery. The lab assistants messed up, providing Pasteur with opportunity. But Pasteur recognized that more than luck was involved, too. Knowledge and experience combined with curiosity seem to be another part of the formula. Or, to quote Pasteur’s famous line, ‘Chance favours the prepared mind’. There you go, crayon lovers. Colour on with Crayola’s new blue knowing that you are holding a bit of chance between your fingers.